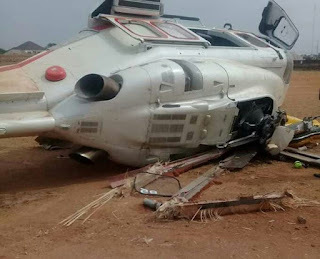 The vice president of Nigeria, Professor Yemi Osinbanjo and his crew crash-landed on their helicopter, although no life was lost. 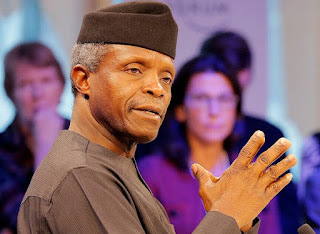 The senior special assistant to the vice-president on media and publicity, Mr. Laolu Akande disclosed on Twitter that the vice president continued with his plans and engagements for the day even after the plane crash in Kebbi, Kogi state of Nigeria. He gave no further details about the crash but gave thanks to God Almighty and the flight crew. Photo published by the Sahara reporters showed that the rotor blades at the sides of the chopper was smashed. Osinbajo also tweeted saying “We are safe and sound!” explaining that the flight crew managed the situation very well. He linked the tweet to a video of himself appearing unscathed and waving excitedly to his supporters from inside a vehicle. The Nigerian’s presidential election is on February 16th, 2019 and the incumbent President, President Muhammadu Buhari aspires for a second term.